Motivational speeches. When your team is on top and you are ahead they might seem at odds with your task of winning. But what about when the odds are stacked against you at the start of the fixture? What about the time when you enter the dressing room at half-time and you’re losing. Significantly losing? It’s on these occasions that team talks, true motivational speeches have to kick in. Doubtless, the Arsenal manager, Arsène Wenger, gave something resembling an inspiring motivational speech at halftime in London last weekend in the FA Cup Final. And no doubt another little pep talk before extra time. His team needed that. 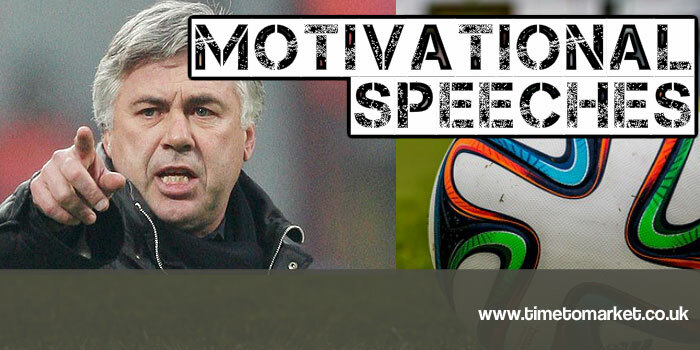 We are told that the former AC Milan manager, Carlo Ancelotti, has a neat line in football motivational speeches. According to his account he played his AC Milan team a video from the film, “Any Given Sunday.” That video was the team talk given by principal character Tony D’Amato (Al Pacino), the Miami Sharks football coach. It’s a good team talk, and certainly inspiring. If you watch it…do look out for the foul language. Now foul language is probably not a prerequisite for a rousing motivational speech. But it might help on occasions. It’s always best when you know your audience. This type of team talk wouldn’t work at the British gymnastics competition today in Stoke-on-Trent. No way! Language could equally be a barrier to understanding when it comes to Carlo Ancelotti’s team talk today in Lisbon before the Champions League final. His galacticos, a cosmopolitan bunch, speak a range of languages. Clearly he’s got them to this stage of the competition with the right mixture of coaching and communication. But he’s got to choose the right language in which to speak later today. One that’s understandable to everyone. Now, just how good is Gareth Bale’s Spanish or Italian? But Ancelotti has form in this department. He’s no novice in this position. Whatever the result later tonight you can bet that he will pick the right motivational speech for the occasion. Perhaps he has already consulted the LoveFilm list of motivating speeches prepared for the England 2010 team? 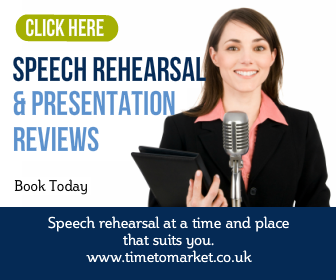 You can find out more about how to build your motivating speech with a public speaking coaching session from Time to Market. Choose a session at your offices or one of our 40 plus training centres. 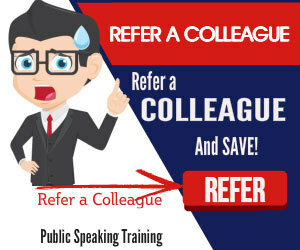 Please call for more details when you need them.